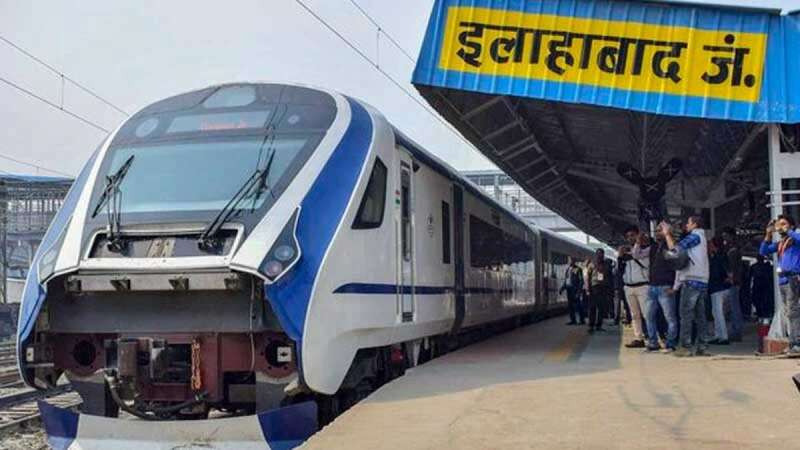 New Delhi : The passengers on soon-to-be-launched India's semi-high speed Train 18 will not have an option to cut down meals on board option, unlike the other premium trains such as Shatabdi, Rajdhani and Duronto express, officials said. However, passengers travelling the last leg on the route of the semi-high speed train -- Prayagraj to Varanasi -- will have the choice of opting out of the meals provided by the Indian Railways Catering and Tourism Corporation (IRCTC), in advance while booking their tickets, the sources told news agency PTI. For rest of the passengers, the meal prices have been included in the train fare. The Train 18 will offer two kinds of tickets classes - executive class and chair car. For both, the meals have been priced differently, said a source. While passengers travelling from New Delhi to Varanasi in the executive class will be charged Rs. 399 for morning tea, breakfast and lunch, travelers in the chair car will need to pay Rs. 344 for the same. Those travelling from New Delhi to Kanpur and Prayagraj will have to pay Rs. 155 and Rs. 122 for executive class and chair car, respectively. Train 18 or Vande Bharat Express are planned in a way that they will replace premium train Shatabdi Express.